Did you know that, if your friends gain weight, your risk for obesity climbs nearly 60%? At the same time, the bonds you share can also improve your brain health and, as you age, even extend your life. Studies show friendships (or lack thereof) have a tremendous impact on our health and well-being, even if we don’t know it. Still, we are able to enjoy these benefits even when unaware. The rise of event and experiential marketing in part comes from the human need for these bonds. As we know, millennials, who hold around $65 billion in spending power, prefer to buy experiences over material goods. Seventy-nine percent of them do so because they believe “going to live events with family and friends helps them deepen their relationships.” This puts pressure on event marketers to provide memorable moments that foster the emotional connections people want. But, with success, the effort serves to benefit brands, too, having made their own emotional connections with customers. 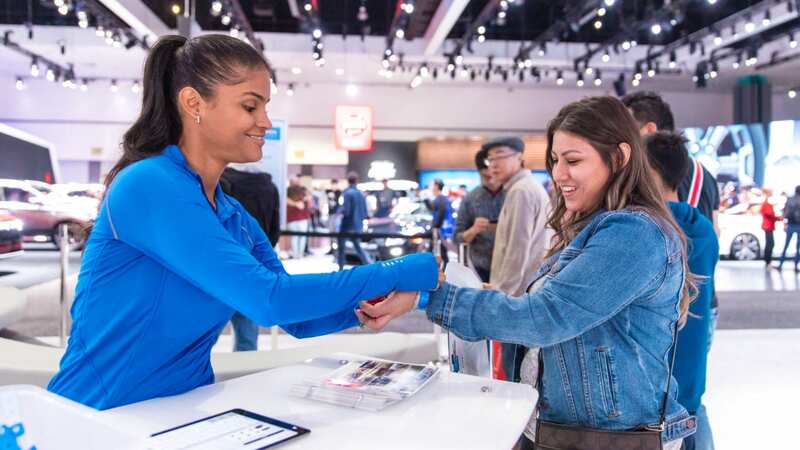 HBR says emotional connections with customers yield a value more than twice that of highly satisfied customers. The emotionally-connected customers buy more from the brand, care less about its prices, listen to what its marketers say, and recommend it more. And, emotional connections are created when brands practice experiential marketing. Per the HBR article, brands can create memorable moments with consumers when they satisfy their emotional needs and create emotional connections. 1. Help consumers stand out. HBR says people long to “be seen as special.” They want to stand out from the crowd. And, there are various ways that experiential marketing can address that need. It may be through a campaign that tailors to each individual, such as providing a unique experience based on demographics or offering limited edition merchandise. Other brands, like BMW, are hitting the mark with exclusivity. With the launch of a new model, the luxury auto brand hosted “secret screening days” for VIPs with test drives at nearly 150 dealerships. Another example is the recent Sephora “beauty festival,” Sephoria. The event played host to 50 brand activations, but only released 5,000 tickets. Inside, attendees could try products, get makeovers, and make purchases. They also walked away with gift bags and photos of their experience. The photos, taken among “made for social media” backdrops, served as another way to help consumers stand out. Research shows 98% of people will create content at events, and 100% of them will share it via social media networks. This allows them to share the special time they had, while extending the brand’s reach. 2. Provide a sense of thrill. For brands trying to reach Gen Z, experiential marketing events that offer excitement have a winning strategy. In fact, Forbes reports 30% of our youngest generation makes “the adrenaline rush of an adventure their No. 1 vacation priority.” This leaves opportunity for adventurous brands to divert their time, attention and, potentially, their dollars. Red Bull, for example, is known for large-scale, high adrenaline activations. But not all brands have to go as big to be successful. Take the tourist organization, Experience Kissimmee, responsible for driving visitors to the Florida city. As part of its efforts, its brand ambassadors traveled to Chicago during the cold winter months to show residents what they were missing down south. To do so, the group didn’t focus on sharing information on its popular attractions. Instead, it set up a zip line in Millennial Park to let them experience the adventure of Kissimmee right where they live, work, and play. 3. Give consumers’ means to protect the environment. Three out of four millennials are willing to pay more for sustainable products. Their desire to lessen our footprint is even driving their investments, with environmental causes being the second “most popular cause category” for the generation’s donors. Such commitment makes it almost necessary for many brands to show their own commitment to the Earth. And, those that help them “take action to improve their surroundings,” per HBR, can make emotional connections with customers. Patagonia, known for its sustainable clothing, once embarked on a mobile marketing tour across the U.S. to teach consumers how to repair their own apparel. But, these cause-minded activations work for authentic brands in any segment, such as beer brand Corona. It addressed the issue of plastic waste in our oceans by making the waste experiential art. Sculptures made of plastic from beaches in London and other cities helped consumers understand the scope of the problem. Passersby could also add their own waste to the sculpture, allowing them to lend a hand to the cause. 4. Help them achieve a stress-free state. Stress affects eight in 10 Americans and four in five British adults. This makes it no surprise HBR says brands can create emotional connections when customers can “enjoy a sense of well-being.” This means, when they can have fun or relax “without conflicts or threats.” And, this is something experiential marketing can achieve at a basic level. One way is with initiatives that pamper consumers, such as with makeovers. This is a standard practice among beauty brands, like Soap & Glory. But even auto makers are jumping on the bandwagon, like Jeep did with its London Experience Tour. Other activations may solve a problem that reduces stress. For instance, Snickers helped relieve the hunger of Life is Beautiful festival attendees by handing out its candy bars. Plus, it offered a fun game, which allowed everyone involved to bond as friends and family without obstacles. Even better, Snickers made emotional connections with customers and, in doing so, improved the brand’s own health and well-being. At Elevate, our event staff have the interpersonal skills to help fulfill any emotional need. Contact us to discuss how we can help build emotional connections with your customers to extend your brand’s life.